With Christmas is only 22 days away, I am sure some of you are checking your lists for your favorite gifts to give this holiday season. According to some research, jewelry pieces are the all time most wanted as Christmas gifts for ladies. I am not surprised. 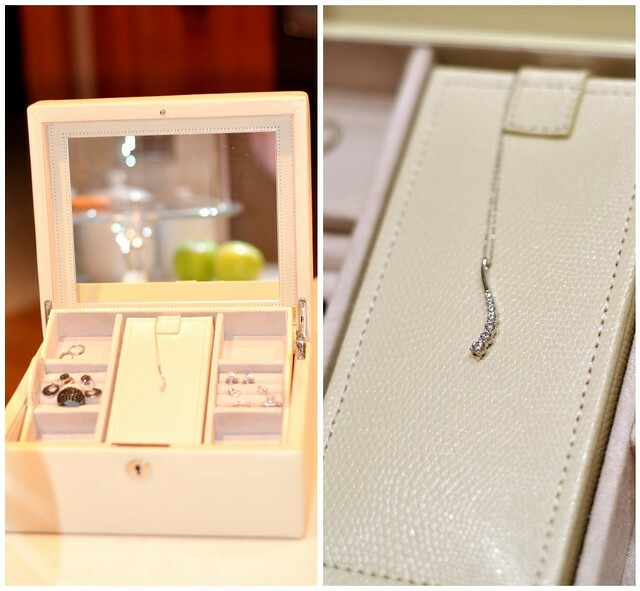 Nothing is better than opening a sparkly gift on your Christmas day, right? Last month, an online jewelry store called Anjolee reached out for a mention. I'll admit at first I was a bit skeptical about getting a piece of jewelry online. However, the process turned out to be pretty painless. 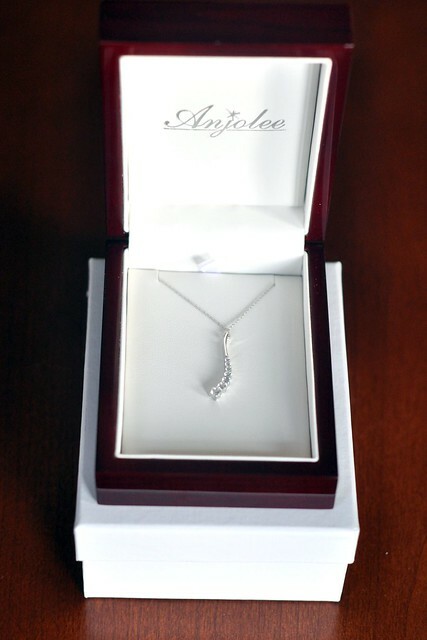 Anjolee carries a large selection of diamond jewelry. One major thing that I wanted to point out is that Anjolee.com is the only jewelry website with a unique customization system. You can customize your pieces to reflect your unique style in a few simple steps. 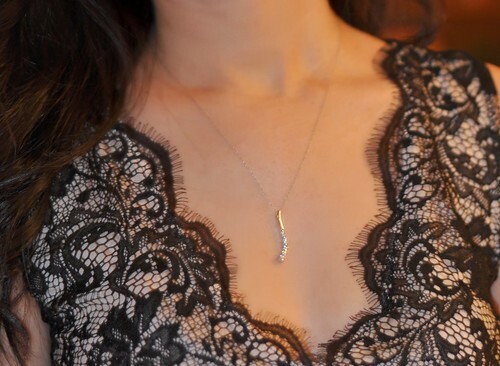 I ended up choosing the Sophisticated Diamond Journey Pendant for this review. If this particular design isn’t your style, there are many other diamond pendants to choose from. A week later, the necklace came beautifully packaged in a wooden box. I have to say, I am really impressed with the design as well as the quality of the necklace. This necklace is simple enough for everyday wear yet brings a casual elegance to any outfit. Anjolee offers free shipping and insurance with overnight delivery on all orders. If for some reasons, you're not 100% satisfied with your order, you can always return it within 30 days for a 100% refund of your money. If you’re looking for a diamond pendant or other fine diamond jewelry, I highly recommend you check them out. If you're looking for a jewelry box to complete your gift, I highly recommend the McKenna Leather Jewelry Box from Pottery Barn. This jewelry box was one of the Christmas gifts that my husband got me a few years ago. It's beatifully made and comes with a travel case. Disclaimer: I received this necklace courtesy of Anjolee. As always, my reviews are my own personal opinion. I will not be compensated for posting this review on my blog. I love how simple and pretty it is! What a thoughtful gift from your husband (the jewelry box). I love that it has little compartments for everything and rolls for stud earrings. You should share your own holiday wishlist in a future post! that's necklace is so simple and classic! like jean, i love that jewelry box and all the little compartments! what a great way to organize your jewelry. btw-- i got a package in the mail yesterday. i thought to myself, most of my mail orders go to my work. who sent me a package? Sydney, you are so sweet!! thank you so much! I like how dainty and feminine the necklace is. And the jewelry box- I love all the little cubby holes!